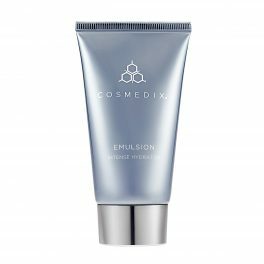 Free of irritating sodium lauryl sulfate (SLS), CosMedix Benefit Clean is an immensely beneficial facial cleanser that’s gentle enough for even the most sensitive skin types. 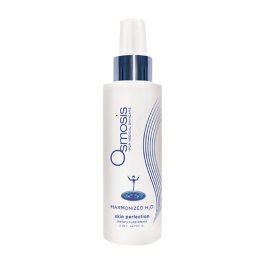 Formulated with gluconolactone (polyhydroxy acid), this antioxidant cleanser eliminates impurities, hydrates the skin and helps improve the appearance of photodamage. Purchase this product now and earn 72 Points! Washing your face with a regular drugstore cleanser can leave your face irritated, dry, and worse off than before. Instead, choose a gentle cleanser free from harsh ingredients such as sodium lauryl sulfate and based on hydrating lactic acid – Your best bet is CosMedix Benefit Clean. This formula is soothing and gentle enough for extremely sensitive skin, but will still help rid your complexion of impurities, makeup, and even waterproof mascara. Use it day and night to cleanse your skin and rid it of unwanted impurities while still treating your face with a roster of beneficial ingredients and antioxidant power. Washing your face was never so luxurious. Moisten face with warm water. Apply to clean hands, lather then massage into skin. Rinse thoroughly. Use morning and evening. Follow with your serums and moisturiser. We always recommend applying sunscreen during the day to protect skin against sunburn and premature ageing. Benefit Clean is the first cleanser that I have used that has not irritated my skin and is my favorite product from the Cosmedix range. It causes no irritation, is easy to use and because you do not need to use a lot of it lasts for ages. I cleanse morning and night and also use it after swimming at the pool as it removes the chlorine residue. Removing my makeup at night is easy taking no time at all. I have recommended this product to others who are also using it. I love Cosmedix benefit clean. I do like the feeling of a ‘foamy’cleanser but being in my 30’s don’t like how many strip the skin. This is the perfect balance between really doing a great job at removing make up and the days dirt and pollutants but still not drying out your skin. It’s very gentle formula that doesn’t irritate. Highly recommend. Such a great cleanser! It removes all makeup and leaves my skin feeling so clean without stripping the natural moisture. Absolutely love it. Wonderful product. Leaves the skin feeling fresh and clean, without that dry feeling.